He must outlive all of us first. Here’s ten reasons why Keith Richards will be sticking around for quite some time in this 21st Century. 10He snorted and injected enough powder in the 60s and 70s, to kill all The Rolling Stones and their tribute bands. With the smack, I knew I’ve got to stop now, or I’m going to go in for hard time. It was – either stay up or crash out or wake up. It was always to do something. Also, I’ve got to confess, I was very interested in what I could take and what I could do. I looked upon the body as a laboratory. I used to throw in this chemical and then that one to see what would happen. I was intrigued by that. I’ve got a bit of alchemist in me that way. But all experiments must come to an end. The cocaine I quit because I fell on my head! Due to that – no more coke. Actually, my body tells me when to stop . . . the hard way. It’s a knock on the head – OK. It’s no big deal to me, to give things up. And we all believe him. No proof is necessary! 8He snorted his fathers ashes. The truth of the matter is that after having dad’s ashes in a black box for six years, because I really couldn’t bring myself to scatter him to the winds, I finally planted a sturdy English oak to spread him around. And I took the lid off the box, a fine spray of his ashes blew out on to the table. I couldn’t just brush him off so I wiped my finger over it and snorted the residue. Ashes to ashes, father to son. He is now growing oak trees and would love me for it. 7He’s outlived a handful of rock ‘n’ roll’s greatest artists. 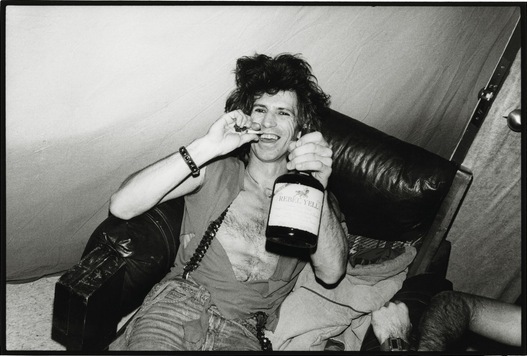 Elvis Presley, Jim Morrison, Jimi Hendrix, and Janis Joplin have nothing on Keith Richards’ longevity. 6He was so hammered, he fell out of a tree and landed on his head and lived to tell about it. I’ve fallen out of trees and worse before,. It didn’t really occur to me. The main thing of that was, ‘oh yes, I have to give up some drinks.’ That’s the only thing I remember about falling. You can’t do that anymore because it will thin your blood. Anyway, I was looking to kick it. 5 He doesn’t believe in rehab. And no, that doesn’t make him responsible for the death of Amy Winehouse. 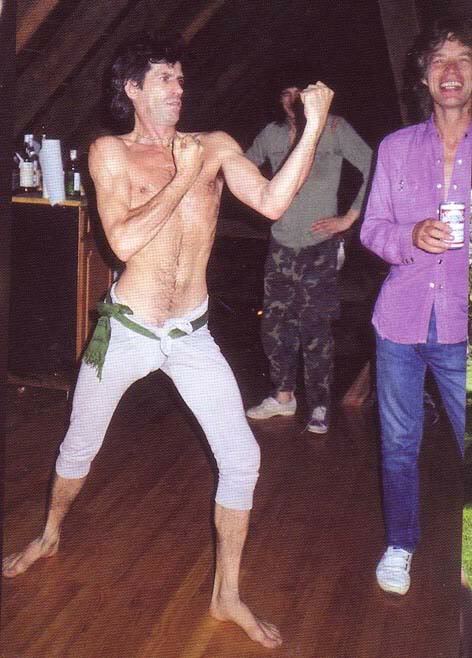 4He only works out when he plays with his Rolling Stones. Which is no surprise to anyone, at any time, anywhere. My workout is when I work with the guys. I mean, I’m pretty limber…I’ve felt no particular strain. And compares it to working a greasy spoon restaurant. We love it. Even more important that that, they love it. You don’t sell out Hyde Park in four minutes – that just happened without knowing you have an audience. In a way, you feel an obligation. I don’t get nervous. I don’t feel like it’s all on me, you know? I’m just there to sling some hash and everybody has a good time. Richards was busted for possession on a variety of drugs (mostly cannabis and heroin) five times throughout his life and was upheld each time. Back in February of 1977, Richards was staying in downtown Toronto’s Harbour Castle Hilton on Queens Quay East when the RCMP stepped in and found heroin in his room where it would’ve led him to prison for seven years to life. His passport was confiscated so Richards, along with his family had to stay in Toronto until the first of April, where Richards was allowed to enter the United States on a medical visa for heroin addiction treatment. The original charge (possession of heroin with purpose of trafficking) was reduced to simple possession of heroin and agreed to do two benefit concerts; one with the Rolling Stones and the other with the New Barbarians on behalf of the Canadian National Institute for the Blind. I have lived my life in my own way, and I am here because I’ve taken the trouble to find out who I am. Ryan Ogilvie liked this on Facebook.